Easy to Maintain. Easy to Grow. What you build today may not be what you need tomorrow. A Discovery series course scales with your success. 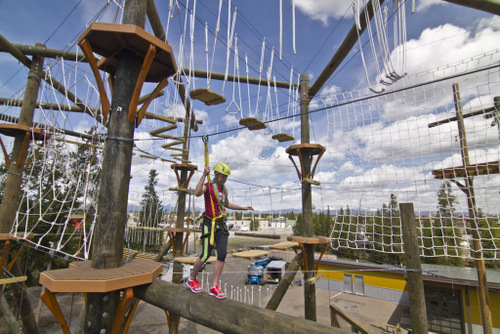 The addition of 3 poles can nearly double the size of your Discovery course introducing your guests to a whole new world of adventure. Better accommodate large groups and high volume programs with a wide variety of activities and challenges. 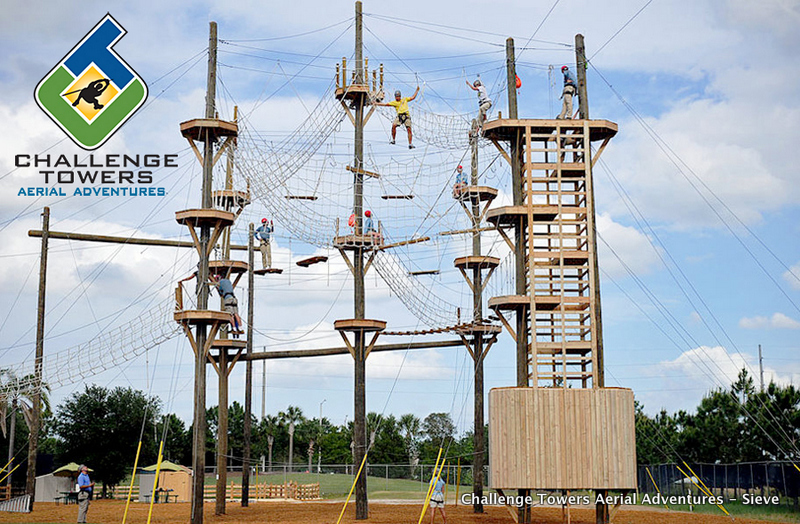 With more course comes the opportunity for more add-ons from climbing walls and towers, to zip lines and giant swings. Creating meaningful experiences has never been so much fun. It's good to have choice and with Discovery series courses you can choose from a range of access options. The simple and cost effective solution is the Discovery Sieve, an enclosed two pole tower that can be easily secured when your facility is closed for operations. Go on belay at ground level and access the course by climbing through a series of alternating platforms. The Sieve can efficiently manage moderate traffic and the top level can accommodate twin gravity or point-to-point zip lines. Looking for efficient, high-volume access? The Discovery series can connect to stair towers, work with spirals, and accommodate descending stations each of which help promote efficient flow and resrtict frustrating bottlenecks. Discovery series courses are designed to offer operations flexibility. Choose between traditional static and smart belay systems to best serve your program objectives and audience. The small compact footprint gives activity supervisors unobstructed lines of site and makes it easy to move between various events and levels. 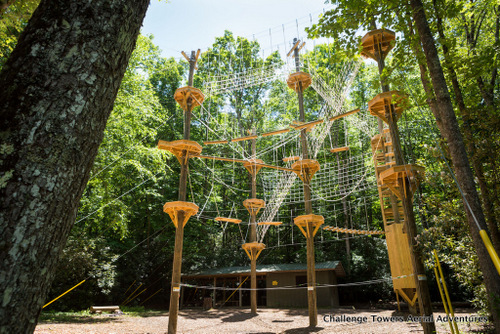 The various add-ons including climbing walls, giant swings, and zip lines can expand activity capacity and be used as independently with smaller groups and limited staff. A well coordinated team can effectively manage large groups with ease and offer a progression of activities that engage and excite. Click to receive a link to our exclusive project investment calculator, where you can estimate your capital investment, annual visitation, average ticket price and more.